In late April or early May of each year, teams and individuals trek to all corners of Monterey County in a joint effort to compile the largest species total possible within 24 hours. In essence it is a huge, cooperative Big Day. Nearly 100 observers have participated in some years. In years past when "America's Birdiest County" event was a 24-hour contest, Monterey County was the national winner 2 out of 3 years. 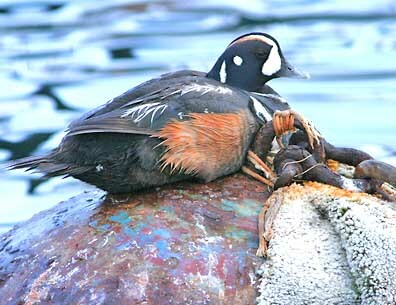 The event is sponsored by and benefits the Monterey Audubon Society. 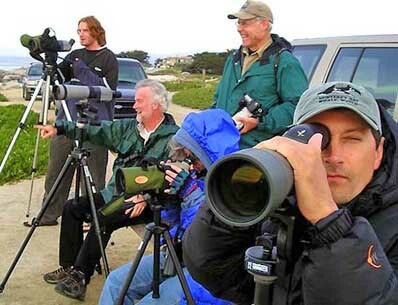 In some past years, the funds went to Ventana Wildlife Society's Big Sur Ornithology Lab. ** = in these years (2003, 2004) we reported 248 species, deleting a species seen only from a boat each year due to ABC rules; we are no longer bound by those rules.